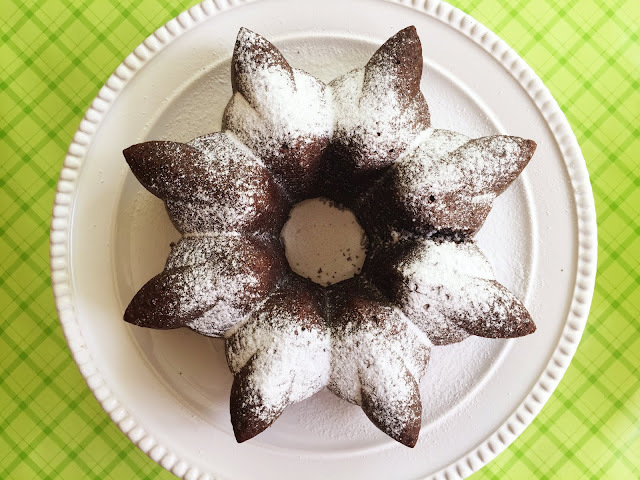 An easy peasy bundt cake we made for Father's Day, because really ... is there a father who doesn't love chocolate? I think not. At least, I don't know of any. Trying to make healthful substitutions where ever possible, and since we had a fresh batch of homemade applesauce, this was a shoe in! Cinnamon and cloves and black pepper?!? Yes, it's different, but the applesauce called for some spice and the amounts were quite miniscule given the intensity of the chocolate. No one noticed and yet, it had some depth of flavour. You may choose to omit but you'd be missing out. There are proven benefits to having spices and besides using it liberally in my cooking, I'm trying to incorporate it in my baking (sneakily, I admit). 1. Butter and flour a bundt pan. 2. 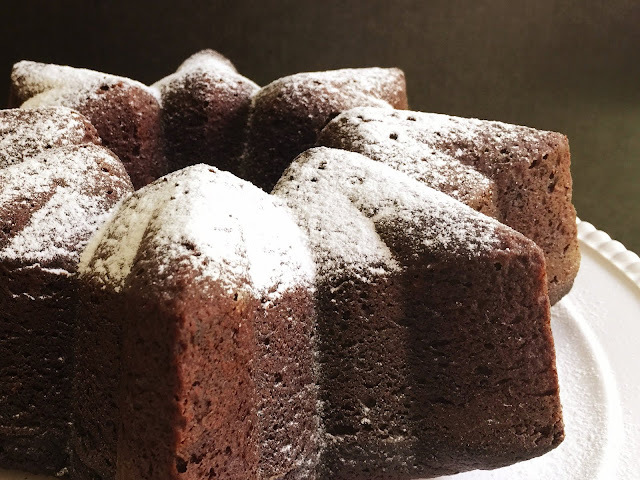 In a large bowl, whisk together the flour, cocoa, sugar, baking soda, cinnamon, salt, cloves and pepper. 3. Make a well in the center and pour in the applesauce, beaten eggs, oil and melted butter. 4. Mix to just incorporate and add the chopped chocolate. 5. Transfer to the prepared pan and bake for 60 to 70 minutes, until it passes the skewer test. 6. Cool in the pan for 10 minutes on top of a cooling rack before inverting it onto the rack to cool completely. 7. Place on your pretty platter and sift icing sugar before serving. 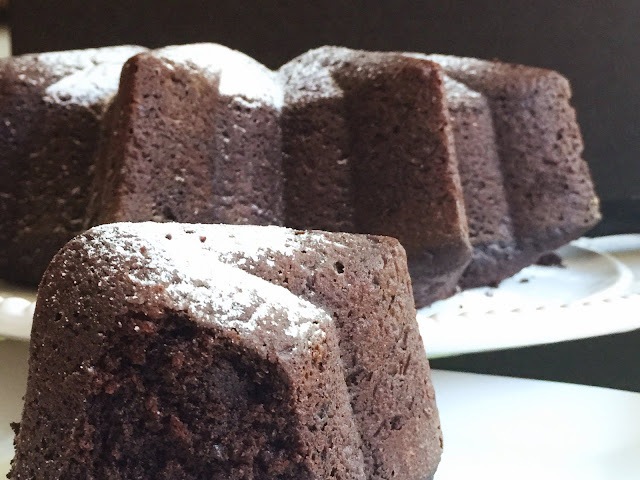 This bundt cake won't be too sweet so it's also perfect with a scoop of ice cream!